Fortnite is able to capture the attention of so gamers partly because it allows them to flex their own imaginations. The Creative Mode is core to this concept: Players can create anything they see in their heads and then offer up a code to share those creations with the world. 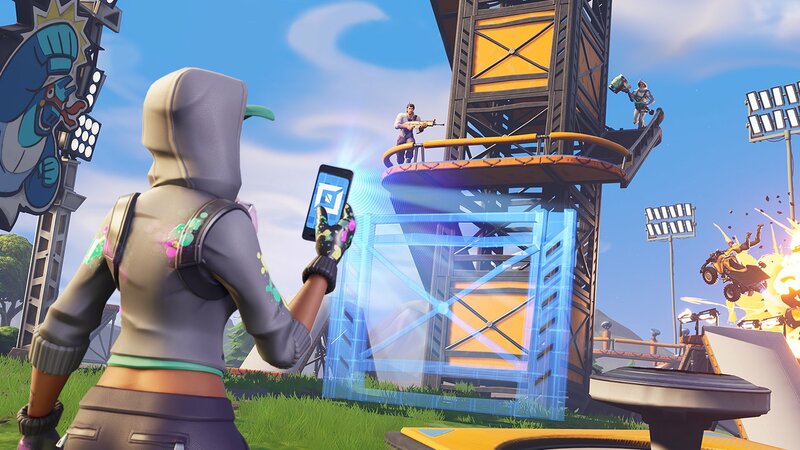 Even players who aren't keen on creating new game modes or giant sculptures can still check out others' works, and we've got a selection of excellent Fortnite Creative codes to check out featured below. The Creative mode in Fortnite allows players to do just about anything they can imagine, and from what we've seen so far, there's a lot of imagination on offer. Many of the custom Fortnite Creative codes offer up new gameplay modes that call out to other video games or gaming experiences, while a few offerings are essentially interesting construction projects with massive screen-filling results. Check out some of our favorite Fortnite Creative mode creations and codes below. No, it's not a true-to-form Tony Hawk's Pro Skater experience, but it should at least be more enjoyable than Tony Hawk's Pro Skater HD. Created by user SirBongsAlot69x, this Fortnite Creative code lets players live out their hesh fantasies by zipping around on the Fortnite Driftboard. The Fortnite Baller was always going to be used for some random fun, which is why we're happy to see it being put to use by the Creative Mode community. Hooshen's Hoo Baller offering takes the style of classic pinball machines, but drops the players straight into the balls themselves. User Azaliak_iPhone created a little something different with Raft Wars. Taking advantage of the game's pirate cannons, this Creative Mode event lets Fortnite players live out their pirate fantasies by destroying opponent's rafts, which are offered in place of true-to-form pirate vessels. Unlike many of the codes on this list, the Giant Ice Dragon created by PrudizCreations is exactly what it sounds like — a massive sculpture of a frigid mythical beast. It's huge! Beyond these choices, Fortnite players can always stay fresh on the latest featured community-crafted Creative codes by following the official Fortnite Twitter account. Not every featured creation will be as unusual as the above offerings, of course, but seeing as how there are so many great creations out there, we'd like to invite players to join the discussion in the Chatty below to share their favorite codes. For everyone else, here are a few fan-made creations that have been highlighted by the Epic Games crew. Even though battle royale games are becoming much mroe common, few games allow players to get as creative as Fortnite. These Fortnite Creative codes are just the tip of the iceberg, and future possibilities are limited only by players' imaginations. Be sure to keep on top of other great Epic Games battle royale content by stopping by Shacknews' Fortnite home page.